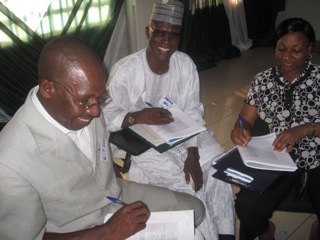 The ‘CPNs’ are community-based child protection networks, which exists in over half of Nigeria’s 36 states. CPN members carry out monitoring, documentation and reporting of child rights abuse cases. 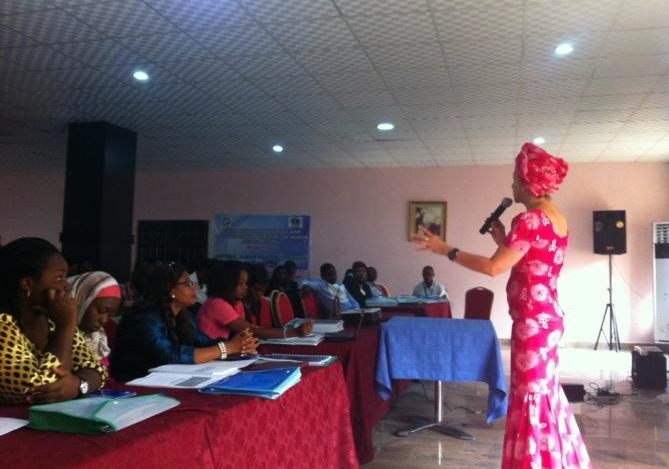 4-day training: During 2011 and 2013, the BHRC conducted a series of training programmes in Nigeria for CPN members and the National Human Rights Commission. The training sessions covered various thematic issues such as national, regional and international mechanisms for the protection of the rights of the child, as well as professional skills for working with children. These have included case preparation and management, preservation of evidence, interviewing techniques, taking statements and lodging complaints with regional and international mechanisms. This project has not only comprised the roll out of 5 different training programmes across Nigeria, but also the development of three comprehensive Training Manuals. The Child Rights Manual and its accompanying Trainers’ Manual and Case Materials provide a detailed and practical guide to domestic, regional and international child rights remedies. In addition, the BHRC project team has also produced Video Demonstrations that feature ‘best practice’ in interviewing techniques with children. These video demonstrations not only intend to assists CPN workers in their activities, but they are also a training resource that can be used by Nigerian trainers themselves. 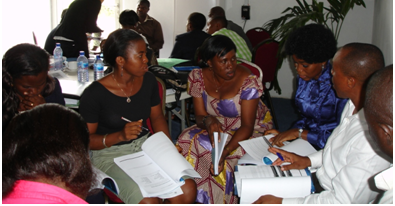 BHRC has selected and trained CPN mentors who will then conduct training in their respective states across Nigeria. A ‘train the trainers’ approach has been at the heart of this project. BHRC trainers also offer long-distance case management support to members of the CPNs. As part of this scheme, CPN members can request assistance from UK-based practitioners on cases involving child rights, e.g. when lodging complaints with national, regional or international mechanisms for the protection of child rights. It is important that you include as much details about the case and the assistance required as possible. Please also attach relevant case documents, extracts of applicable legislation, outline of submissions or any other relevant documents.